A vintage-inspired token of her faith, the Signature Cherish Cross necklace combines traditional religious jewellery for children with modern elegance. Set upon an adjustable mini belcher chain the sterling silver cross necklace is the perfect gift for any spiritual occasion, designed to transition with her as she grows and reaffirms her faith. 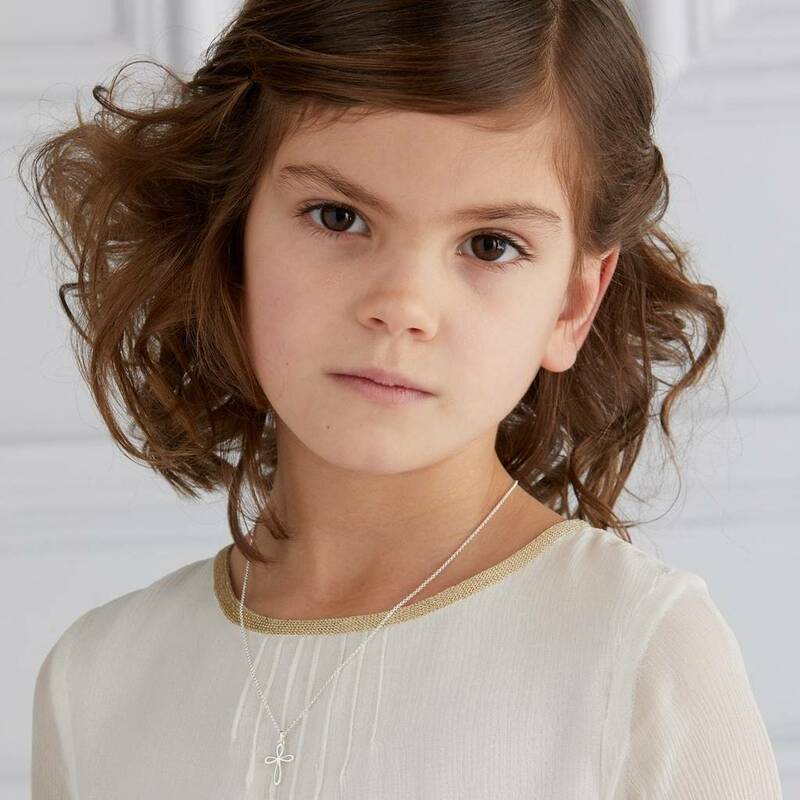 A children's cross necklace that would make a sleek and modern Holy Communion Gift as well as being perfect for a baby's Christening jewellery, traditional goddaughter gift or a girl's Confirmation gift. 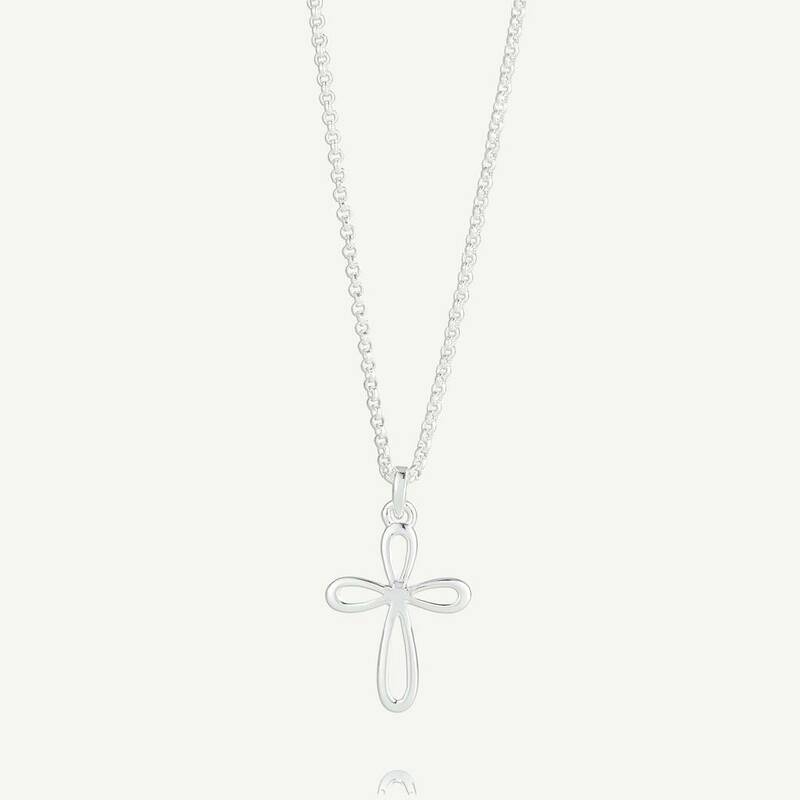 The Signature Cherish Cross is certain to make her feel loved and treasured for years to come. 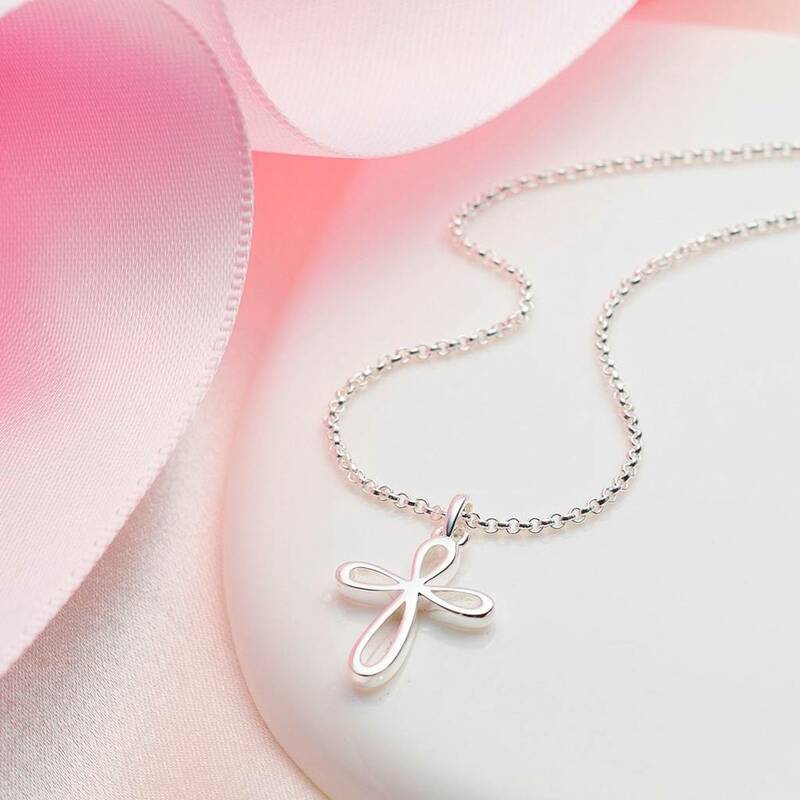 An elegant design, the necklace is crafted using hallmarked sterling silver that ensures it will retain a place in her heart for the rest of her life. 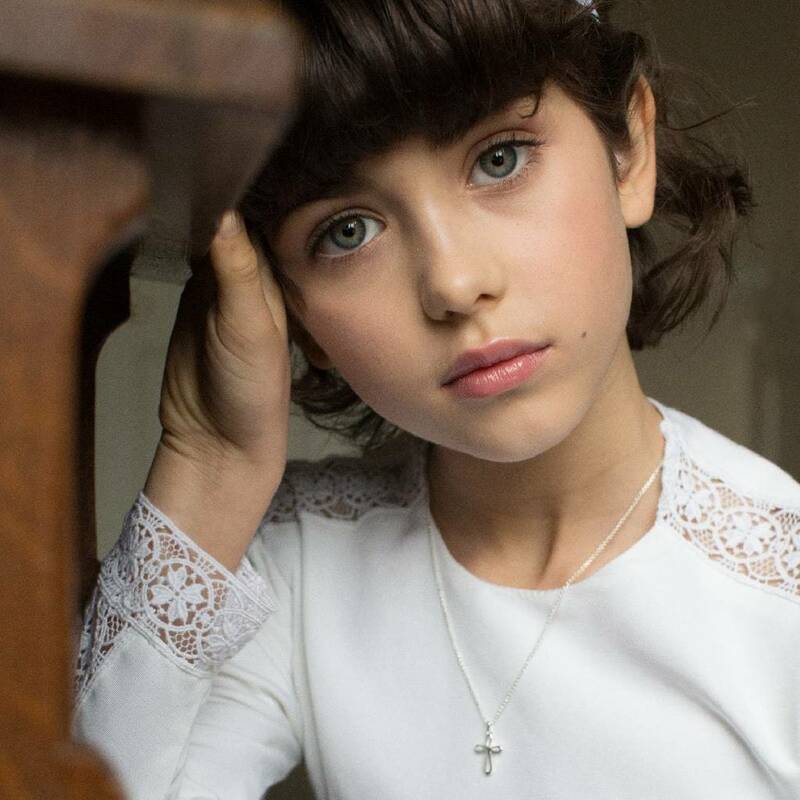 Match with the Signature Cherish Cross Bracelet to compliment the crisp white of a Christening gown, Holy Communion dress or her Sunday-best. The simple design means she can wear it as a daily symbol of her beliefs or saved for special occasions. Also available in the Cherish Cross Collection are necklaces with white topaz and pink sapphire gemstones as well as a freshwater pearl design, all with corresponding bracelets and a baby bangle featuring her first diamond set into the Cherish Cross design. Set on a 16" chain adjustable at 14" to fit most ages and sizes. It is recommended that you store your jewellery in the pouch and box provided to reduce the risk of damage affecting its appearance. Sterling silver is prone to natural tarnishing. This process is caused by oxygen and moisture coming into contact with the metal. This can be treated with a respected name brand polishing cloth. Do not wear swimming as materials are prone to damage from chlorine. 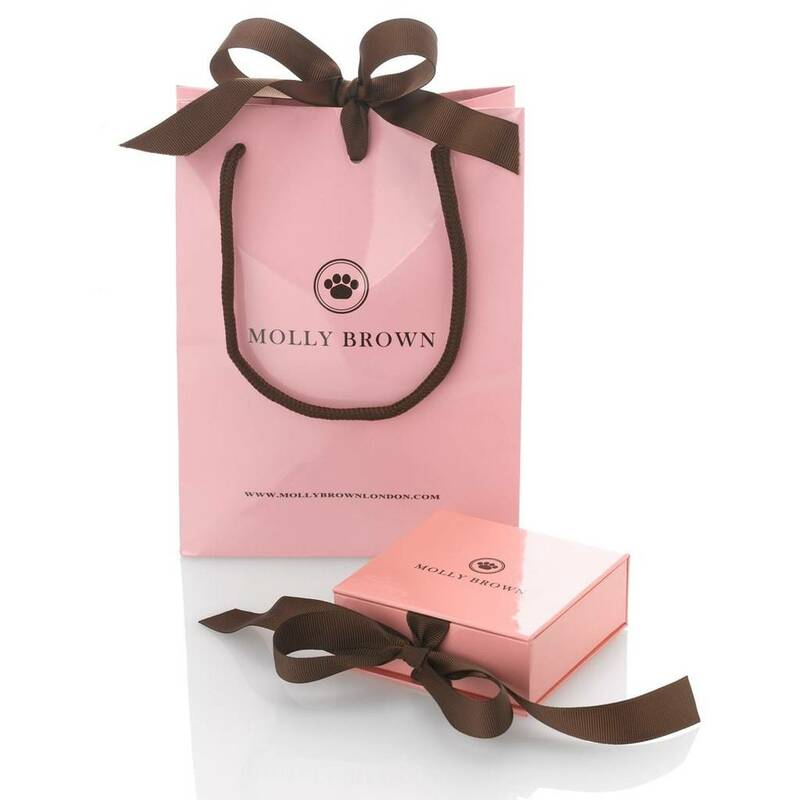 Molly Brown London is an Assay Assured brand and has been tested by the Edinburgh Assay Office, it contains no lead and has passed the Newton Break Test. 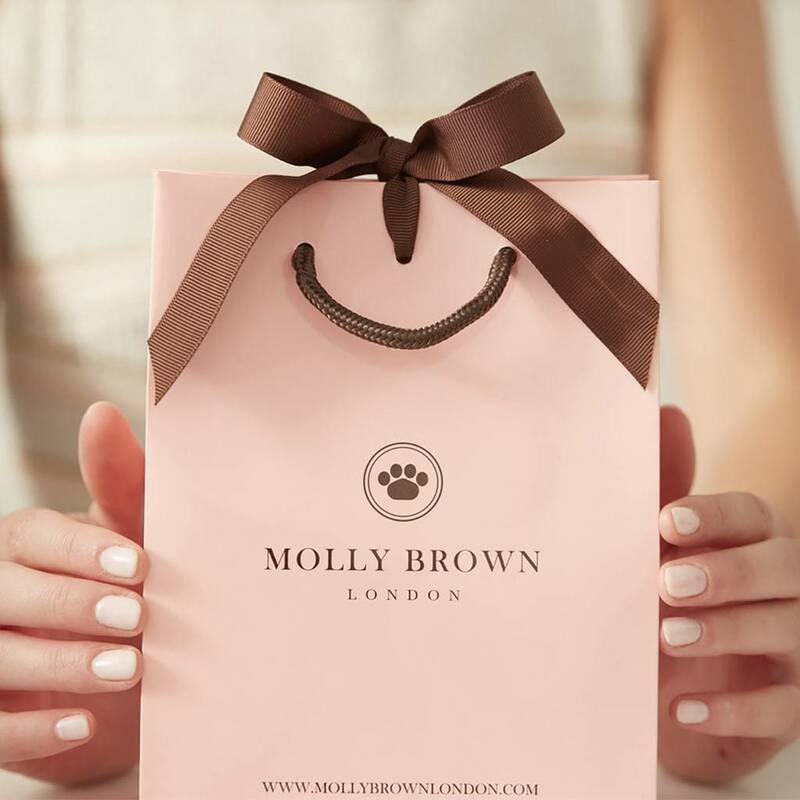 This product is dispatched to you by Molly Brown London.